If there’s one thing that geeks love, it’s looking for Easter Eggs in their favorite comics, movies, and series just to see how many hidden references they can spot. Here at Sideshow, we love to put hidden references into our collectibles- from statues to sixth scale figures, and even in our art prints! Did you know that we even hide Easter Eggs in the product galleries for our Art Print program? Our team of designers create detailed environmental shots to give fans a sense of what these incredible fine art prints, metal prints, and canvases might look like in their own homes. If you pay close attention, you might find some geeky surprises hidden in these gallery shots! 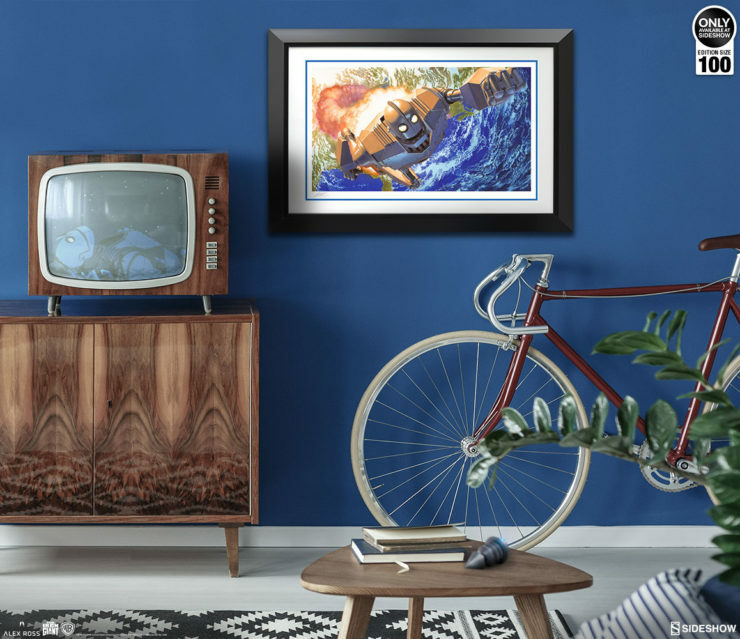 So, get ready to browse our art print collection because we’re going on an Easter Egg hunt! 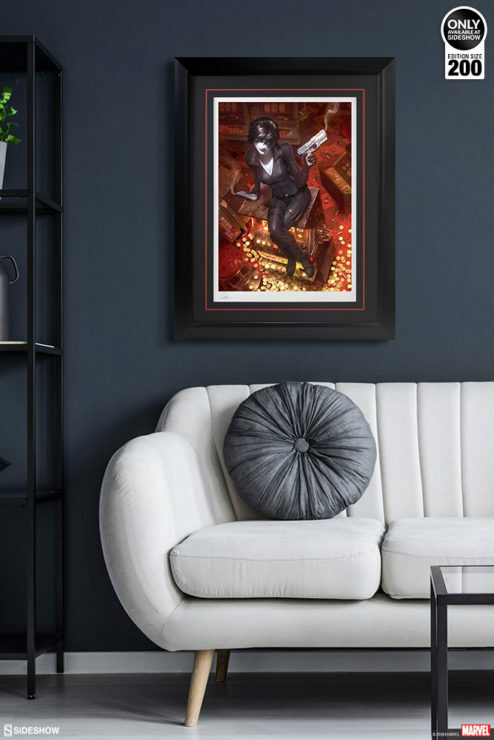 In this fine art print, T’Challa goes toe to toe with his cousin Erik Killmonger. 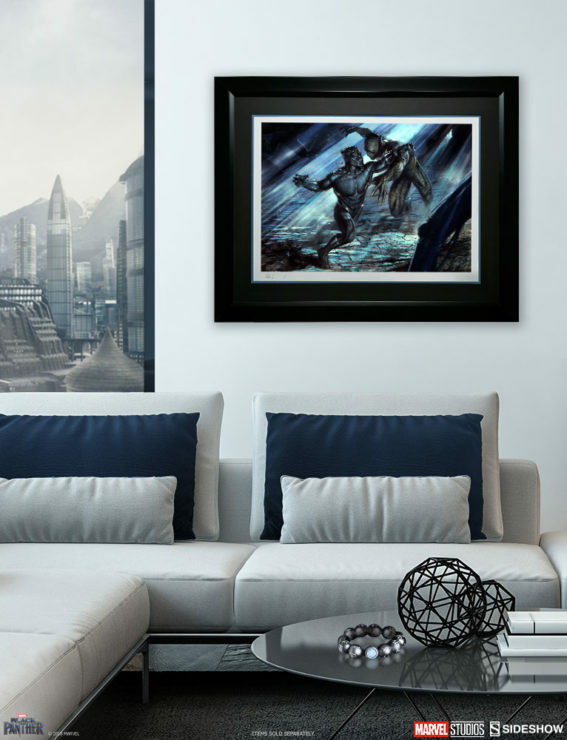 The angled lines and intense fighting catch your eye, but did you notice the two Easter Eggs in this gallery environment? Just to the left of the print, you can see the stunning world of Wakanda right outside the window! And on the coffee table, you can find the signature Wakandan Kimoyo bracelet, which you can actually buy from Sideshow! 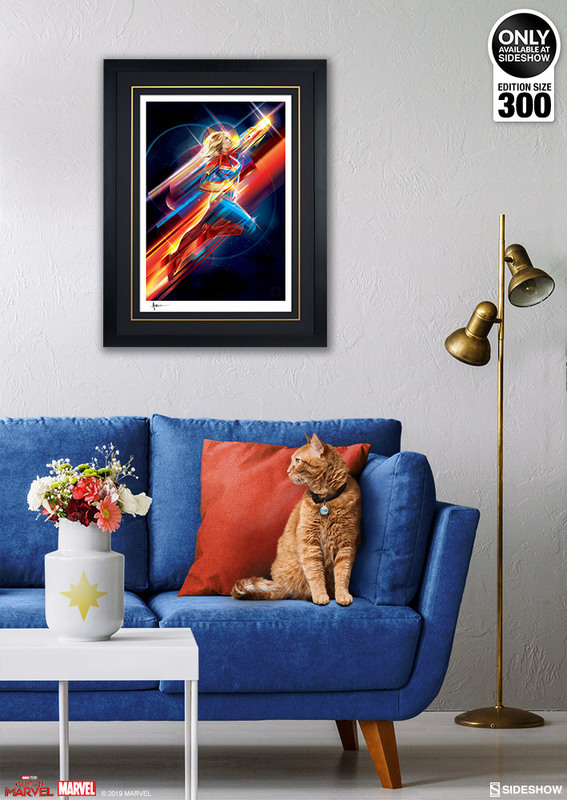 This powerful fine art print print, inspired by the Brie Larson’s cinematic debut as Captain Marvel, takes Carol Danvers to the highest heights. You might be so inspired by her bright cosmic power that you overlook two little Easter Eggs in this living room setting. 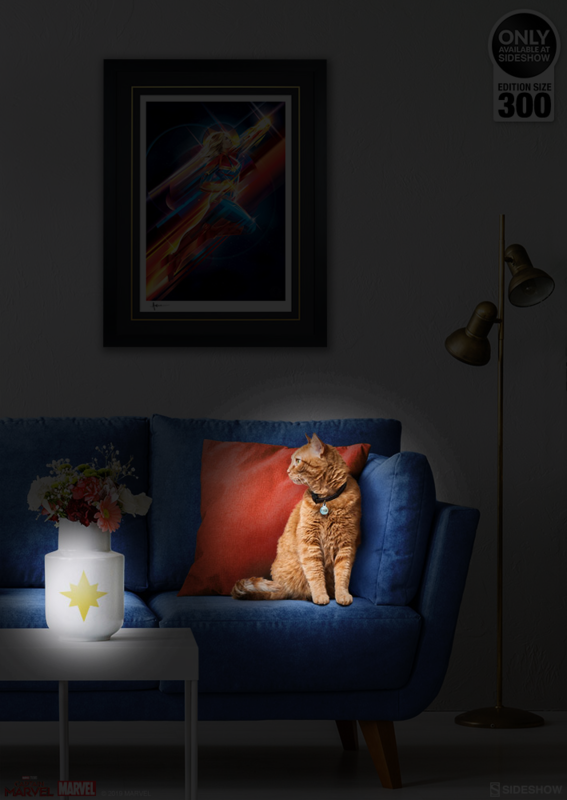 First, the vase has Captain Marvel’s Hala star symbol on it. But there’s a second guest star in the picture: Goose the cat! 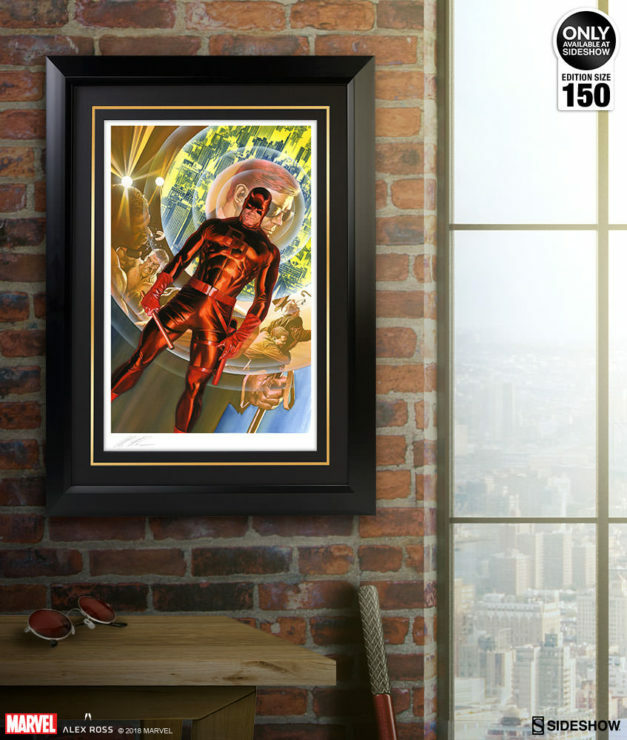 This Alex Ross print encapsulates the origin of Matt Murdock and his evolution into Daredevil. 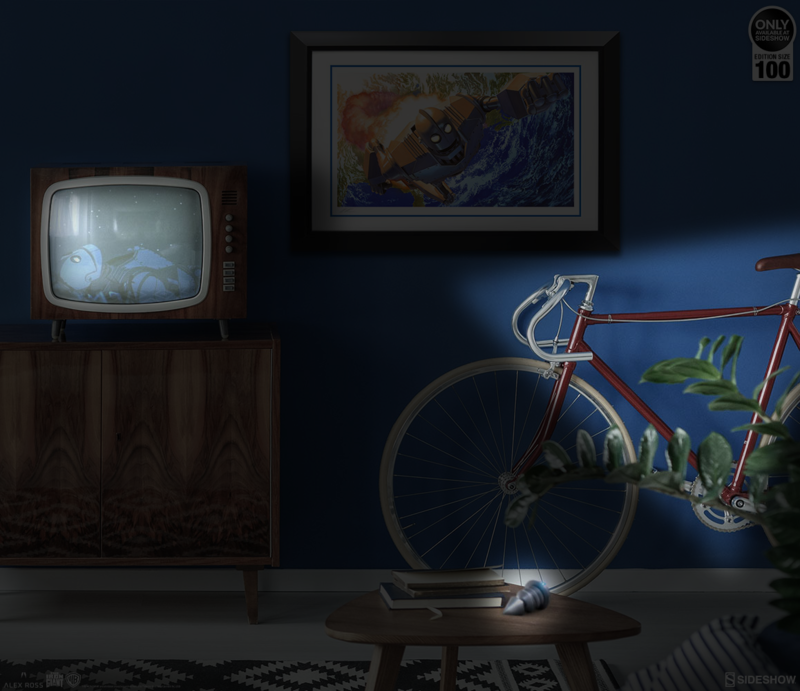 However, you don’t need radar senses to spot the Easter Eggs hidden in this scene! 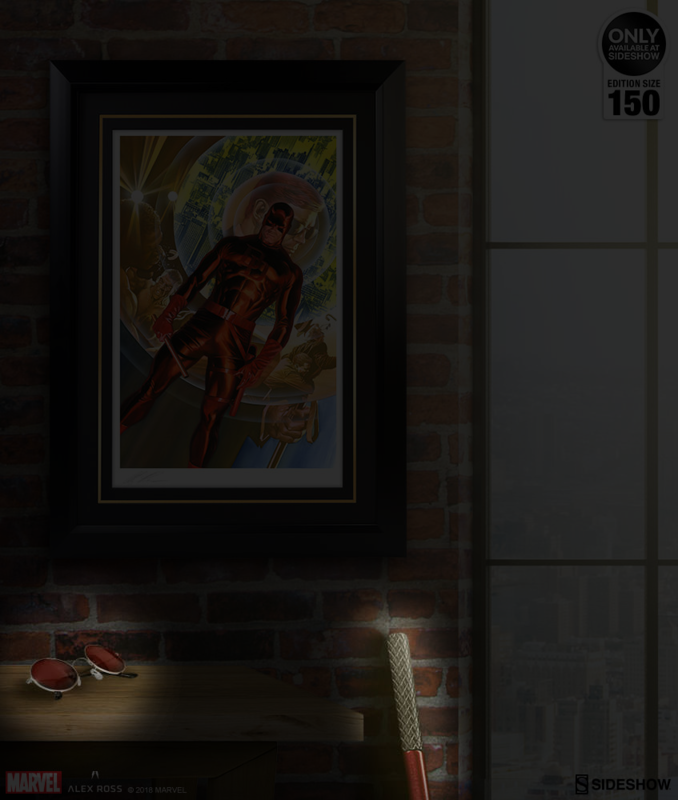 You can spot Matt Murdock’s signature red glasses on the table, and just to the left of the New York City view from the window, you can see Matt Murdock’s cane, which is actually just one of the many forms of Daredevil’s choice weapon: the Billy Club. The Iron Giant is a misunderstood sentient weapon turned good, choosing to save the very planet he was made to destroy. Hidden in this picture, you can see Hogarth’s bike leaned up against the wall, ready to go at any time. 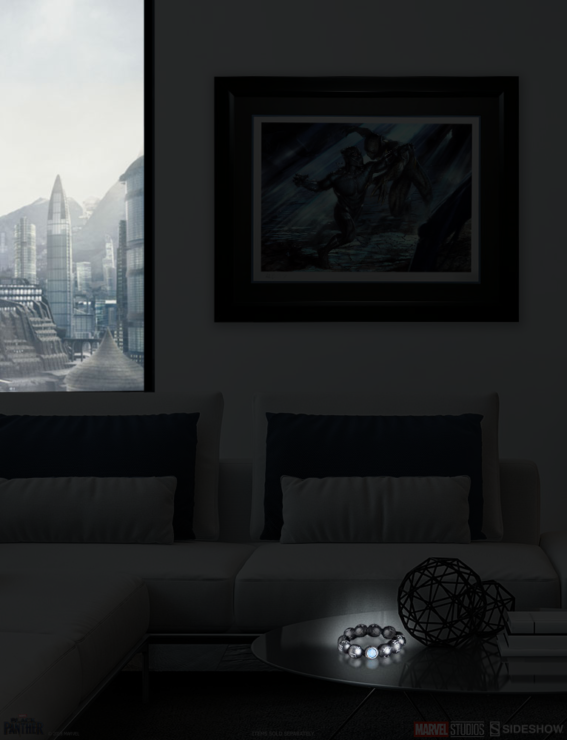 Right on the coffee table is the the giant screw from the last scene of the movie, and finally, on the TV, we can see the wonder in the Iron Giant’s eyes as he looks up at the stars. 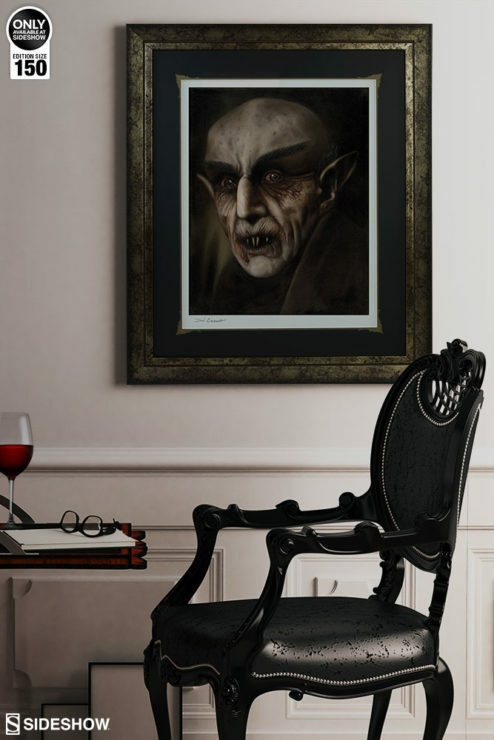 Count Orlok eerily watches your entire room in this dramatic fine art print. 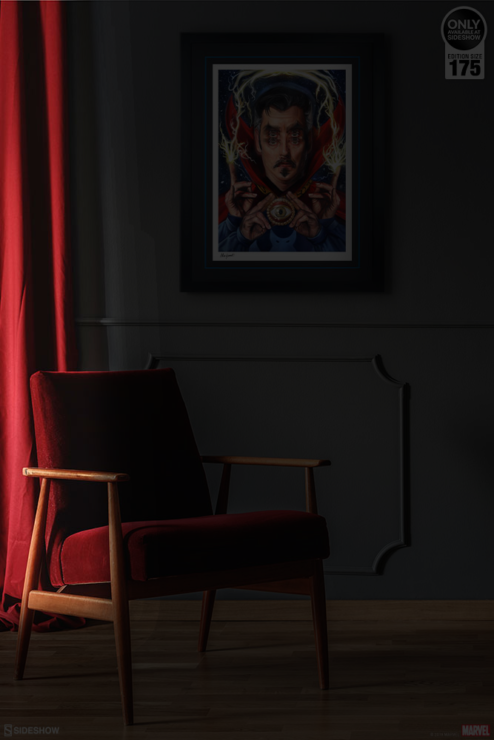 It almost seems like his eyes are watching you as you search for the Easter Egg hidden in the image. 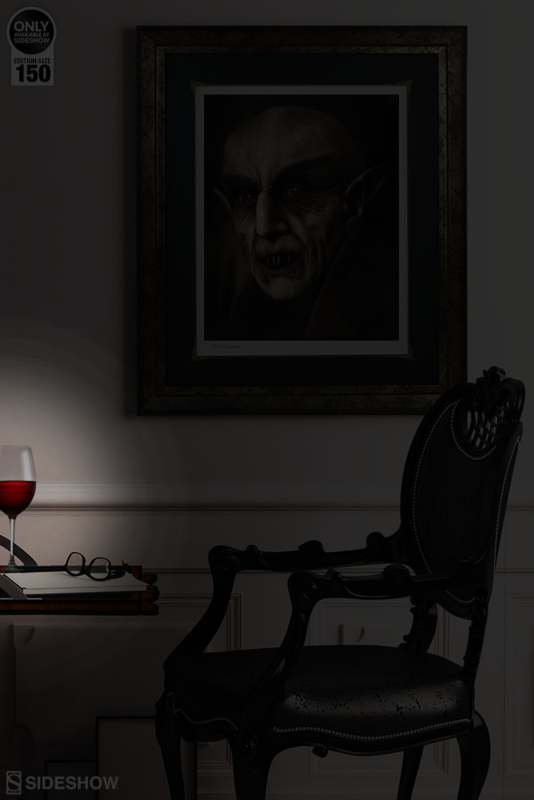 He’s eager for blood, and in this gallery, you can find a glass of it right on the writer’s desk! It certainly sets the mood. 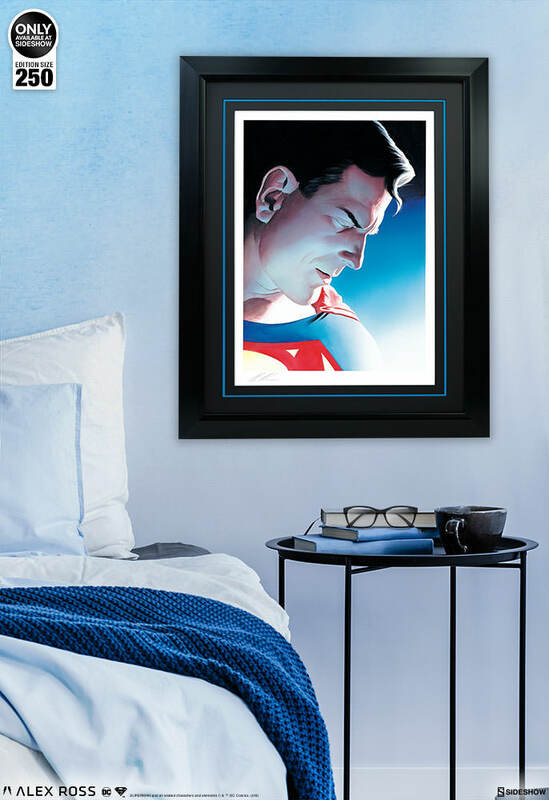 The Man of Steel. Superman. Or just regular old farm boy Clark Kent. After a long day of saving the world and writing all sorts of articles at the Daily Planet, you can only imagine how relieved he must be to get home and take off his glasses. 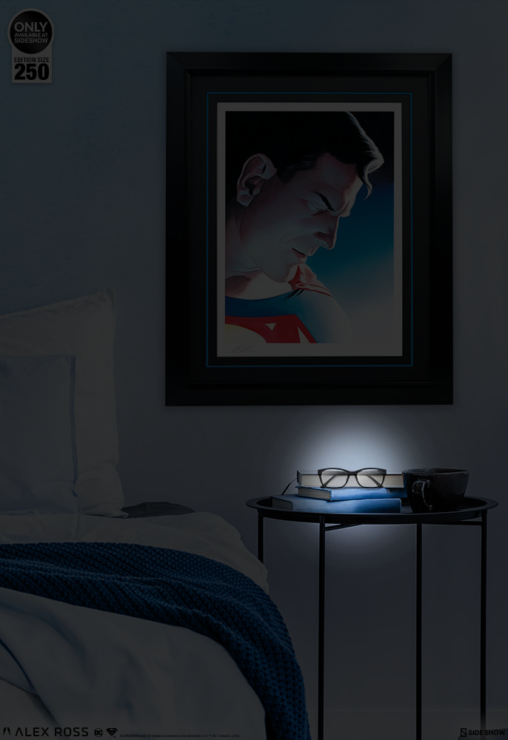 And in the Superman: Peace on Earth gallery, you can see his glasses resting on the nightstand! 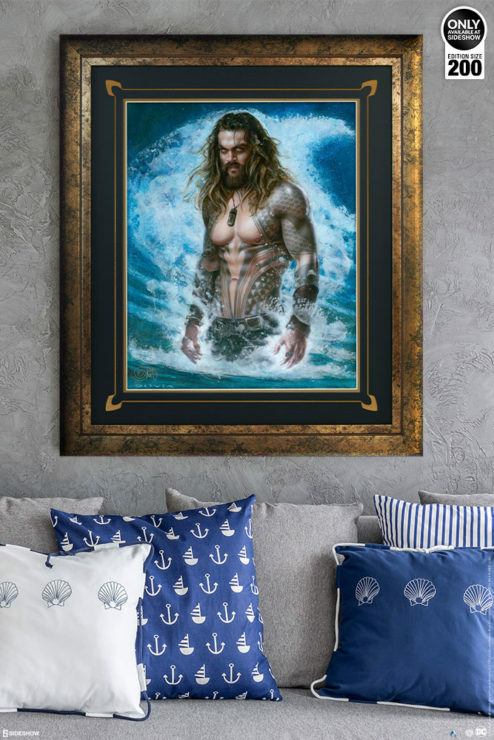 Aquaman, based on Jason Mamoa’s epic splash into the DC film universe, commands a great presence both under the waves and above the land. He stands tall and proud, framed right above the Easter Eggs our team left in the gallery. 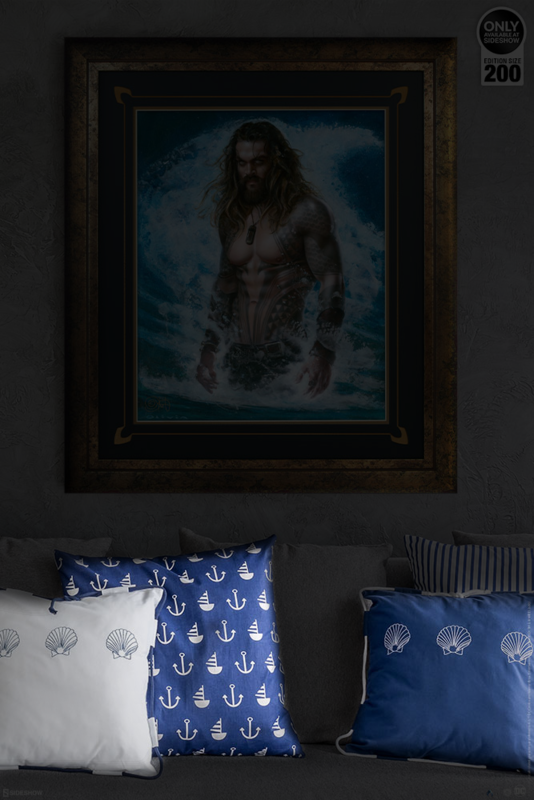 The pillows feature fun nautical symbols to represent his kingdom under the sea. They really tie the room together! Neena Thurman‘s powers are particularly subtle. How can you tell when you’ve just got good luck, or when you’re truly talented? When things go your way, is it because of some cosmic impossibility or mutation? Or are you just really cool? Well this Easter Egg is just as subtle. 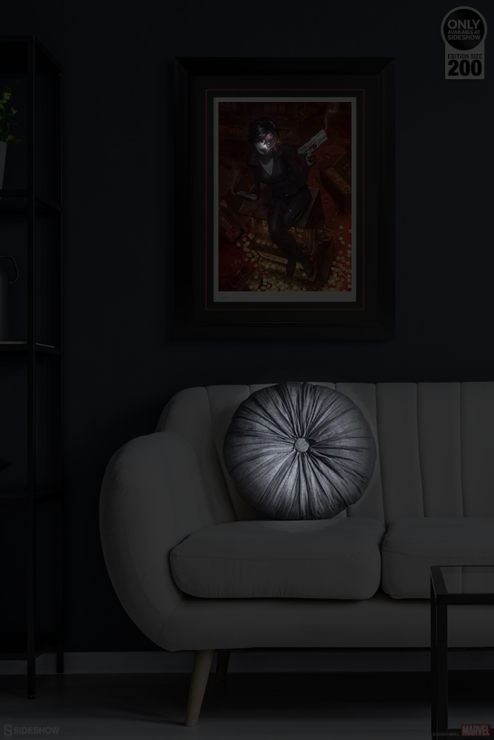 We put this dark ring pillow on this pale white couch to mimic Domino‘s signature eye tattoo! Harley Quinn is a hard hitter to be sure. Her strength and ingenuity are constantly surprising, and even though she’s a certified doctor, her oath to do no harm has gone right out the window! 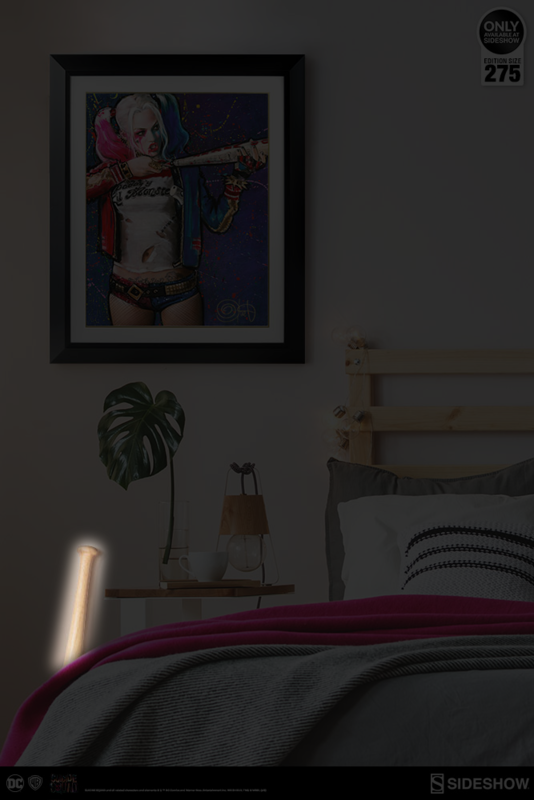 You can spot Harley‘s trusty baseball bat right beside the bed in this environment shot beneath her stunning Suicide Squad-inspired portrait. Now this one could fly right past you. Doctor Strange, the Sorcerer Supreme, is an incredibly skilled master of the mystic arts. 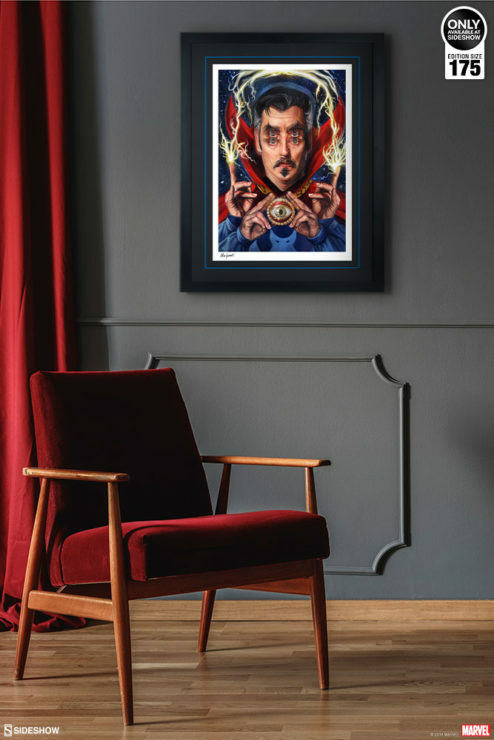 He is often known to brandish the Eye of Agamotto as well as his signature Cloak of Levitation. If you pay attention, you’ll see that the curtains on the left of the room are a nod to the Cloak of Levitation itself! Which other Easter Eggs can you find in the galleries for our Art Print Program? Tell us your favorite Easter Egg in the comments and don’t forget to Let your Geek Sideshow!